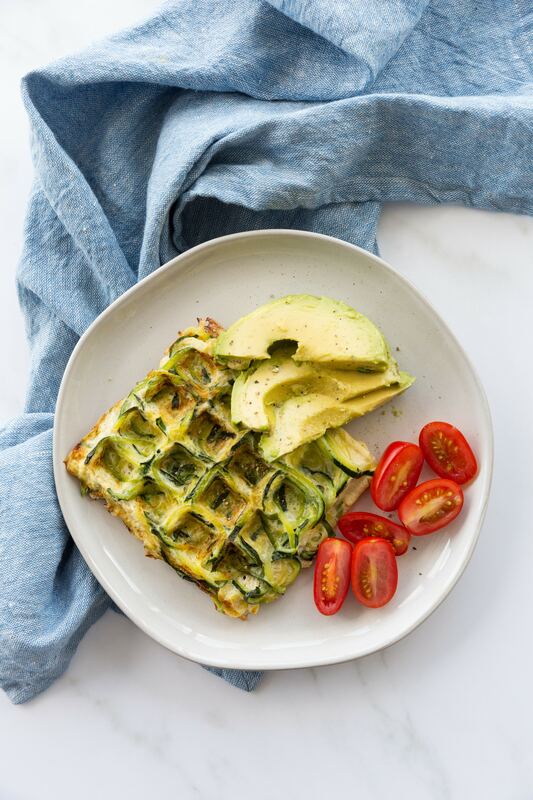 These healthy, vegetarian and gluten-free waffles are made of just two ingredients – egg and spiralized zucchini or, zoodles! Okay, okay, so this isn’t really a waffle. It’s more like an omelette in a waffle – a waffled omelette. Is that such a thing? If it’s not, I’m making it a thing – because I love waffling things. Omelettes are more time and labor intensive, anyway – why not just pour it all in a waffle iron? 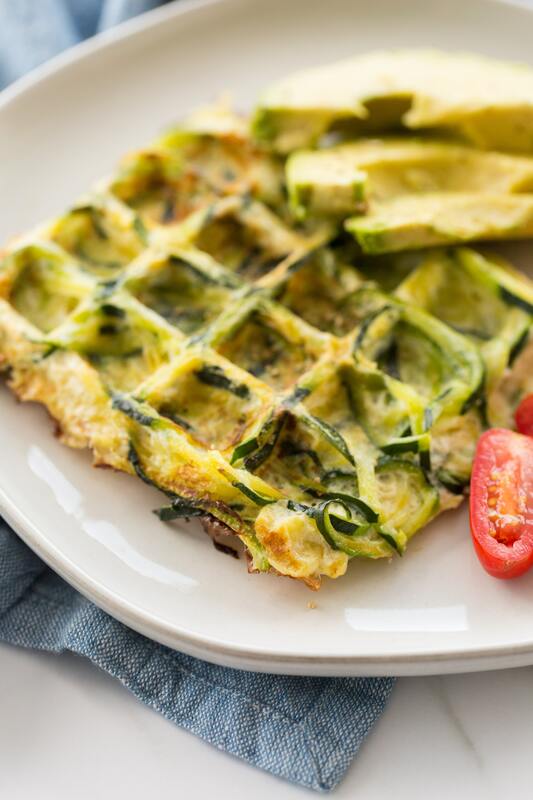 With these spiralized Zucchini Noodle Egg Waffles, you sneak veggies easily into your breakfast! Plus, they look cool, right? For picky toddler eaters, these may be a saving grace too! Try slicing them into strips for ease of eating, if you’re feeding little ones! 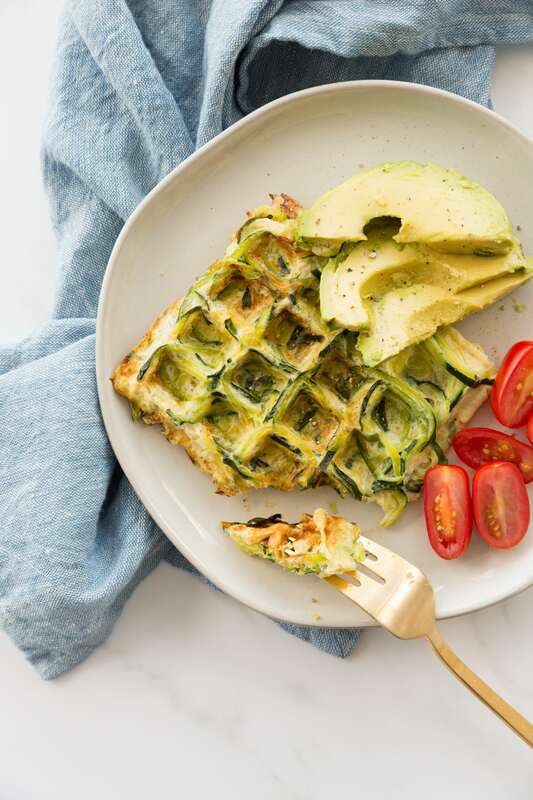 OR, melt a slice of cheese on top of these waffles and place them between two pieces of toast spread with mashed avocado for a waffle egg sandwich with zucchini noodles! The options are endless with these zoodle egg waffles, and I hope they inspire you to sneak spiralized veggies into your diet more often! to serve: avocado, tomatoes, salad, breakfast potatoes, toast, hot sauce! Beat the egg in a medium bowl. Add the zucchini noodles. Serve with your favorite breakfast accompaniments! 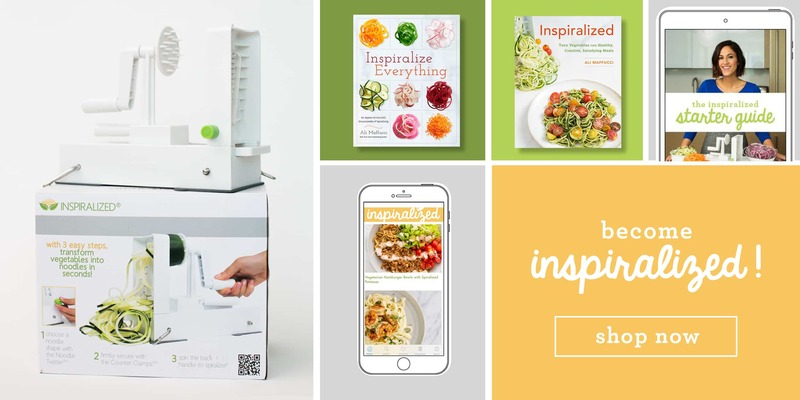 I think this is your most inventive recipe yet! Guess what I had for lunch? I did not let it get too done so I could fold it over like a round sandwich. Used a wedge of smoked gouda laughing cow cheese. A weight watcher recipe makes a pancake using one egg and one banana mashed and mixed together. You could double it too. Why couldn't you do the same here? I want to dry it with some spiralized yellow squash..... Stay tuned. Hi Margaret! So sorry to hear that! Maybe try coating your waffle iron in some cooking spray next time!